On November 06, the Moon and Mars are joined at 27 ° on Capricorn and open the week by directing the collective consciousness toward the search for an answer to the great questions of existence. The Moon symbolizes the Individual Consciousness. In this case it represents the missions that we take at time of birth (even before, when by the Consciousness of Light space we choose the parents – so our family is the sacred group of souls that best help us to grow in this life, reminding us constantly about us). With transit in Capricorn Moon recalls an attitude of detachment from the emotional dramas and especially highlights the roles of victim, perpetrator or savior which we played with each other as family members. Mars in Capricorn from late September is marking a very precise way to evolution for many of us. It is the urge that makes us overcome obstacles and difficulties with determination and presence. In his last conjunction with Pluto in mid-October it led us to a strong alignment with the consciousness, in front of a mirror in some ruthless way in which you could not lie. In this conjunction with the Moon its actions goes to the secret place where the sense of dignity is guarded. And from there we can no longer ignore. We become irremovable of external conditions lead us to betray ourselves, our love towards what we are. The difference with the past compared to this kind of restlessness, common to many human, is that now we are no longer content to wait for the Life arrivals at the door. However is not yet the time for action. 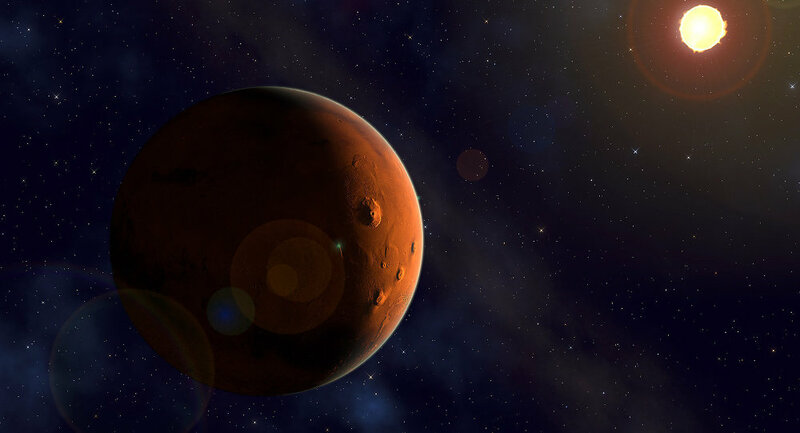 Mainly because it is true that Mars, symbol of active fire and transformation, leads to an intense movement, but while passing through the thick Earth sign of Capricorn the movement is deep and firm, led by Time (Capricorn is ruled by Saturn, the Greek God Cronos, governor of Time). ARIES – from an initial weight, felt especially at a working level, passed to a state of euphoria that almost do not recognize anymore. Breathe much and try not to react aggressively against the outside world. You are perfectly able to navigate in these last days of the tunnel with the usual mastery. Love is watching you. How will you respond? TAURUS – A large detachment is requested from you, and this is an existence test to see how you are centered on yourself. It is important to develop a sense of self that does not make you move from where you are because this bring sincerity and open heart in relationships. GEMINI – Love is present and makes life enjoyable. Pamper yourself so then you will be able to meet the great challenges that await you. Sometimes the past comes back and this time asks you to overcome the challenge of self-proving with facts what you love to the end. Do you trust yourself? CANCER – going to dig into your past, you are still feeling bitterness resulted from bad relationships, born in compensation to the inner emptiness? Consider the opportunity to let go of memories hidden in the recesses of consciousness. Life is change and movement. LEO – this is the time of rest, of disconnecting your brilliant inquiring intelligence. Rather stay in nature, in the woods, and let the soul breathe. November is challenging for you, too many vicious circuits of thoughts, feeling out of place, being judged. Get in stand-by dedicating yourself to meditation and art therapy. VIRGO – now that the future calls you, do you want to answer? Look first of all what is left in you after the whole purification process through which you have passed in recent months. It ‘s time to define different borders, which will be the basis of the new life cycle that will manifest from next spring. Until then make plans. LIBRA – there are plenty of dissonant aspects that bring to the surface the weights you have on the heart. If so, consider this week as an important opportunity to free yourself from that which rests in a long time. You have gained the courage of your feelings, so you need not fear anything, but simply let go of that which is natural. SCORPIO – the intensity of your feelings is getting deeper. The best way to deal with it is to breathe, another is physical activity, still another is clean carpets with the carpet beater, foolproof method to lighten the heart and mind. By mid-week you will feel more centered. SAGITTARIUS – the last days in which to give form to a new project you’re working on for some time. Do not easily give up if there are any problems, it’s all part of the game and you love to invent strategies to work around obstacles. The important thing now is to lay the foundations and build the structure for the content that you want to implement. CAPRICORN – many challenging aspects, so much light on you, many calls for action. Do you feel like you can handle it all? Do not get distracted, just stand on the way of change you feel inside. Stay focused on your needs and do not settle. You are now governing life consciously. The serenity is born inside and then it manifests outside. AQUARIUS – Love is coming, passing through the back door and strange convolutions of the Soul. Everything will change around you and the calm of the past months becomes feverish activity, desire for new challenges, the search for prosperity. The journey that you had put aside since spring will start now. The direction is still unclear but it will be shown on the way later. PISCES – the question for you is: did you get where you were expected to arrive? You’ve heard the Inner Voice, read the signs, maintained an open heart? Master Saturn does not abandon your company and lets you review the steps taken to discover any errors committed in the past and often return. But you should open your eyes!